It all began in 1955 as Morton Motors, located at 1030 Danforth Avenue. The three original members of the management team were Mort Ison, Frank Ison and Al Seidman. After sixteen years in the used car business, the company expanded into the new car industry. In 1971, Morton Mazda was formed at 999 Danforth Avenue and quickly rose to be the top Mazda dealer in Canada. In 1975 two new franchises were added, Saab and Honda. The dealership, named Toronto Imported Cars, was operated out of the 1030 Danforth Avenue location. Upon recognition of the Honda success potential, the management team terminated Saab and Mazda. A single line Honda franchise was developed: Toronto Honda. In 1979 Toronto Honda moved to larger facilities at 2300 Danforth Avenue. The dealership has since evolved into one of the largest volume Honda dealers in Canada. Acura Woodbine was the next franchise added to the dealer group. The design and construction of this facility was fully supervised by the management team from start to its completion in March of 1988. Regrettably, due to economic conditions, Acura Woodbine was closed in November 2008. In 1981, two new members were incorporated into the Toronto Honda management team, Stacey Ison and Jordan Ison, both of whom own and operate the dealership today. 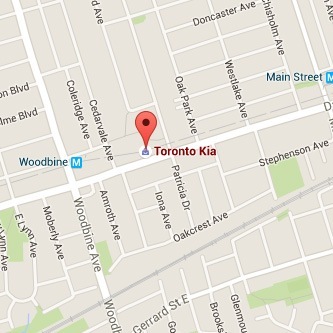 Toronto Kia broke ground next door to Toronto Honda in the summer of 2012 on the old Red Arrow Car Wash property. Carson Woods Architects, the same company that did the renovation to Toronto Honda, designed the Kia store. 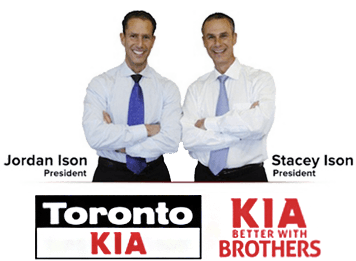 The innovative design is a first for Kia Canada and Toronto Kia was made to fit seamlessly into its downtown space.